New I Pad with face ID? I know what you’re thinking: Innovation has slowed in Cupertino. I agreed until I heard this news. For years we’ve lamented that some of Apple’s biggest big ideas haven’t been big at all. Perhaps the most sterling example is the MacBook Pro’s Touch Bar, which I exclusively use for the purpose of accidentally activating Siri. But Face ID on the iPhone X is maybe the most transformative technology the company has introduced of late. Sure, Microsoft had installed similar and very good facial-unlock tech in Windows already, but putting it in the device you unlock 100 times every day, and implementing it so seamlessly that it never fails, has completely changed how people who’ve bought in use their phones. It’s kind of hard to imagine life without it. No more entering pesky codes—look at your phone, and you’re in. That’s why my mouth is literally agape. The biggest tech news of the summer so far seems to be that Apple will bring this magical technology to another of its products. The latest comes to us from developer Steve Troughton-Smith, who discovered iOS 12 code indicating that the iPad will get AvatarKit, which won’t work properly without Face ID’s TrueDepth camera—WHICH MEANS FACE ID ON THE IPAD!!! It’s not the first we’ve heard of this either. Shortly after the first beta of iOS 12 landed in the hands of developers in early June, hints of the new Face ID-friendly iPad were immediately dredged up. And, in fact, rumors of the new tablet were cropping up even before WWDC, although, it didn’t quite launch on schedule. At this point, we’ve seen enough hints to know that this iPad is probably coming, and I’m prepared to eat my Apple Pencil if it doesn’t. And friends, I just can’t believe it. First, Apple puts legitimately useful technology into the iPhone, flaunting people’s potential squeamishness with the idea of Apple making a recording of their face. 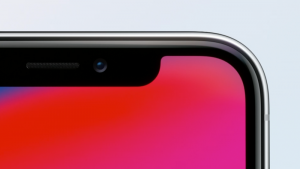 Then, after the critical success of the iPhone X and its widespread adoption, the company turns around and figures out a way to squeeze the facial recognition technology into a much larger device. Like, uhhh, how are they even going to get a TrueDepth camera into an iPad, if it was so hard to put it in the iPhone? It takes a brave and audacious company to make bold moves of this kind. This would almost certainly be the first time that Apple debuted a technology in the iPhone only to have it show up in a future product. Next, you’ll tell me that the MacBook will get Face ID one day, too.